For investors that like to make large purchases of gold bullion, one of the smartest options would be to buy 400 ounce gold bars. There are many reasons why buying a single 400 ounce gold bar is a better option than making multiple, smaller purchases. Bars of this size are not usually purchased by smaller investors or beginning investors because the cost is too high, and usually beginning investors would benefit better from dipping their toes in the water as opposed to diving in head first. Many people think that a gold bar of a given size is exactly the same as every other gold bar regardless of brand. A person who has spent any time working with precious metals knows that this is not true and that there are sometimes major differences between similar gold bars. There are many different brands who make gold bars and believe it or not brand loyalty exists when dealing with precious metals as well. In some instances brand loyalty is so prevalent that buyers are willing to pay a significant amount more for a bar they could easily buy at a lower price if produced by someone else. While most smaller sizes of gold bullion are produced by many different companies and brands, 400 ounce bars are not produced by such a variety of mints. The reason for this is because not as many investors are buying 400 ounce bars as are purchasing smaller sizes of bullion. If a company were to produce such large bars at the same volume as their smaller bars they would have a lot of large bars sitting in inventory simply because they are not bought nearly as quickly. There have been many stories about faux 400 ounce gold bars being found, so if you are to purchase a bar of this size make sure it is from a reputable dealer. If you have any doubts about the validity of a bar you are going to purchase it is recommended that you refrain from buying. If you are going to invest in bars of this size you should only do so from dealers you know and trust. The main producer of 400 ounce gold bars that you will find is the Royal Canadian Mint. RCM is one of the most well-known bullion and coin producers in the world. 400 Ounce bars are typically what are referred to as “good delivery” bars, or are bars that weigh a certain amount and fulfill other certain specifications as well. Good Delivery bars are the very large bars that are held and traded by governments, incredibly large-scale investors, and are usually the bars you see being held at central banks all over the world. The organization that first drafted the requirements was the London Bullion Market Association and they did so in order to standardize the gold and silver bars that were being exchanged in the London Bullion Market. In addition to a bar needing to fulfill certain weight, size, appearance, and other requirements, for a bar to be considered a Good Delivery bar it must come from the LBMA list of approved gold and silver refineries. If you think that the requirements and standards are very rigid and without much wiggle room, you are exactly correct. The list of approved refineries is expanding and contracting all the time. Every so often new refineries are added just like many refineries are taken off the list as well. Good Delivery bars are the ones you will find being traded on major world markets such as Hong Kong, London, New York, Tokyo, and Zurich; just to name a few. Even if a bar is eerily similar to a Good Delivery bar, it will be marked with a NGD to let any holder of the bar know that it is a “non Good Delivery” bar. Much like the 400 ounce gold bars must fulfill certain standards in order to be considered Good Delivery, the refineries too have to meet certain requirements such as the amount of time they have been in business, how much metal they produce, and how much the company is now worth. 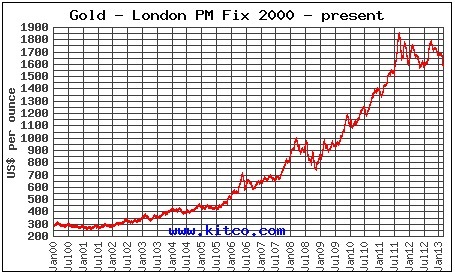 400 ounce gold bars are up there with the largest gold bars in existence. Because of this there is not just one uniform size that gold bars of this size abide by. While most 400 ounce gold bars will be similar in size, they will not be exactly the same. If a gold or silver bar is unable to fulfill one or more of these requirements it will be stamped with an “NGD” to show that it is not, in fact, a Good Delivery bar. If you have every worried about the spot price of metals, and if you are an investor you have, you will be interested to know that Good Delivery bars have very much to do with setting the current market value of metals. 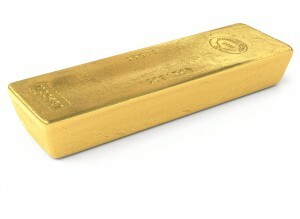 The spot price of a gold bar is the current value that the metal in the bar is worth. As you may or may not be aware, the price of precious metals is constantly changing and thus so are the prices of the bars you are going to buy. If you are trying to purchase gold from an online dealer at the same price that its current market value is you are wildly mistaken. If you online dealers of precious metals were simply selling their gold at the current market value then they would never make any money, something that is contrary to why they even started a business. Instead of simply striving to break even all the time, gold dealers charge a premium over the spot value which is an added cost so that they can cover business fees as well as hopefully make a profit. If every site were simply selling at spot value none of them would last very long because you need to make some money in order to run a business.